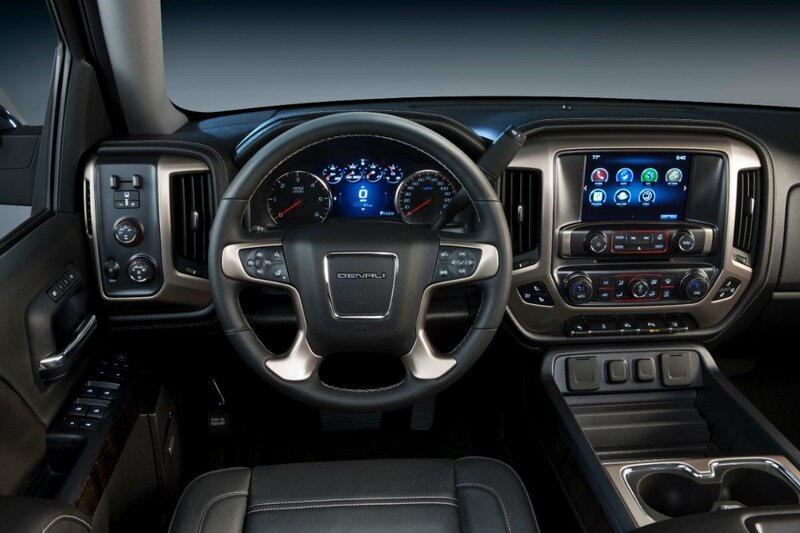 Truck interiors have made a huge transition over the past ten years, and nowhere is this seen more clearly than in the luxury trucks that are on most truck buyers wish lists. 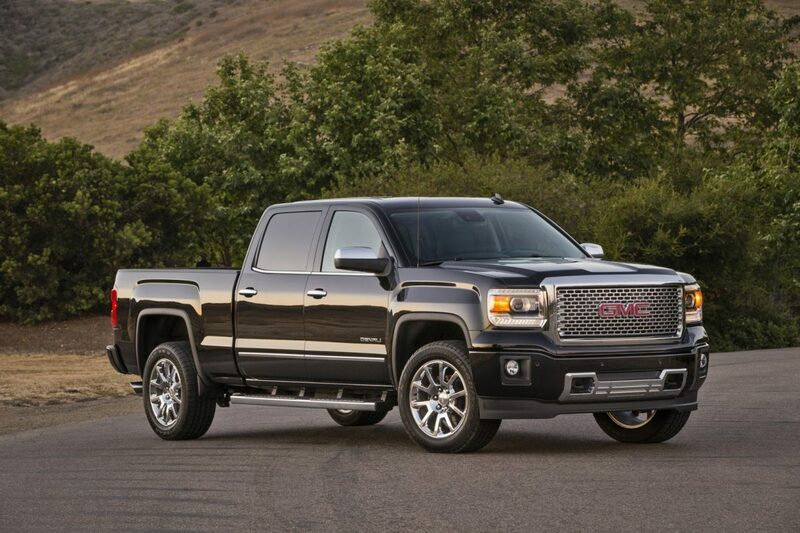 The 2015 GMC Sierra Denali 1500 is no exception. Less flashy than some of its competitors, it is refined and subtle with a decidedly masculine edge that complements its exterior styling flawlessly. First, some basics: Last week I drove the Denali edition in a crew cab version with a 6.2L Ecotec3 V8 engine (an upgrade from the 5.3L that is standard), an available 8-speed automatic transmission, and some glam features like a power sunroof and 20″ polished aluminum wheels. The only other add-ons were a driver alert package — lane departure warning, forward collision alert and safety alert seat — that was a huge bargain at $450, and a $230 trailer brake controller. There was less sticker shock that I have experienced with other vehicles with a base price of $52,155,and an as-driven price of $57,820. That may still cause you to cringe — new truck prices often do these days — but it was about $10,000 less than many competitive 1500 level luxury trucks, with some features that others lack. I had lots of seat time in this truck on a range of roads, a roundtrip to the Academy of Country Music awards weekend in Arlington and another to the Copperhead Creek Shooting Club in Dripping Springs. With regular day-to-day driving it added up to about 750 miles. My mpg ran very close to the published numbers of 15 city/21 highway/17 combined. That’s not top of the heap, but it is what I expected. The GMC Sierra Denali was completely redesigned for the 2014 model year, along with its Chevy stablemate, the Silverado. It has been an award winner in many categories — a Consumers Guide Best Buy, Kelley Blue Book 5-year cost to own winner and a winner of Ward’s Best Interiors (a coveted industry prize). I didn’t expect to see much added for its sophomore year, but was pleased to see that the team at GMC didn’t just rest on their laurels. While I didn’t do any towing over the weekend, a Sierra 1500 could have done virtually everything that I might ask. With the 8-speed automatic, there is 12,000-lbs of max tow capacity. There is an available NHT max tow package that features a 9.76-inch rear axle, heavy-duty rear springs, revised shock tuning, advanced cooling capacity and the previously mentioned integrated trailer brake control. Added for 2015 was the exclusive magnetic ride control that judges the road every millisecond and changes the damping to accommodate it. The full lineup of cab sizes, trim models and bed sizes is available at gmc.com, but the configurations meet virtually every requirement, and there is an exceptional all-terrain package for off-roading on several of these. Rather than focusing on the entire truck, this is a great opportunity to tour the interior — the reason many buyers lust after this trucks. There is an old saying in the automotive biz that customers purchase a vehicle the first time based on the exterior but become repeat buyers based upon their experience inside the truck. This is an inside story that will not disappoint. The first observation is that the cab is generous in terms of size. The second is that this is an extremely quiet vehicle. General Motors has made a conscientious effort to keep out road and wind noise, and they have succeeded. 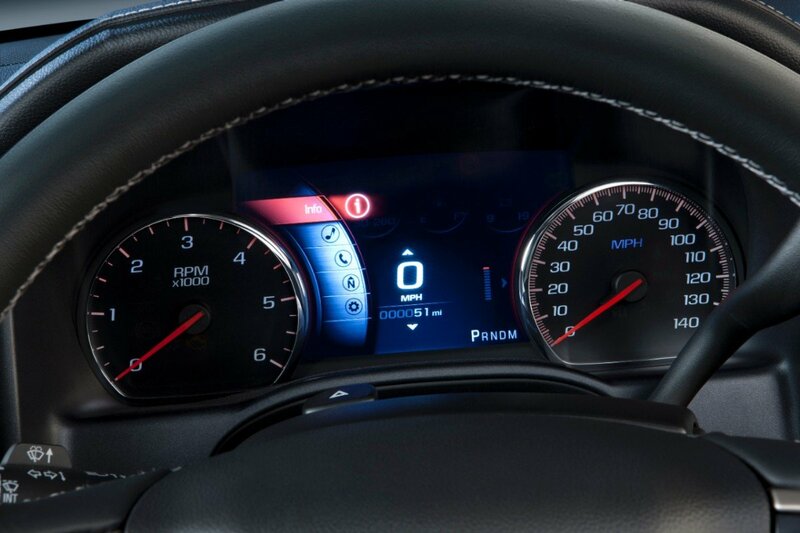 There is an upright instrument panel with a six-gauge cluster. At the middle is a 4.2″ color information display, standard on all but the most basic Sierra. Lighting is enhanced for better night viewing. Storage is readily available with about one cubic foot in the center console. It will accommodate a laptop or, if necessary, hanging files for the owner who uses the truck for work. There are five USB ports, two 12-volt power points, a 110-volt outlet and a cord management system. Open and closed storage are addressed and everything works. Seating configurations are well-executed and the choice of fabrics, leathers and finishes are more than adequate. On the Denali specifically, Ward’s Automotive singled out the choice of materials mated to features like heat/cool features, 12-way adjustment and other features when making its award. I found the same to be true. My greatest complement is that everything in the Denali interior feels intuitive. When truck manufacturers first started adding luxury-car features on the inside, I used to get comments from readers who loudly questioned their decisions. No more. Today, truck owners tell me that they would be lost without the features that they now have in their vehicles. GM was early in and did it right. This year, in addition to an enhanced infotainment system, they were the first to add 4G LTE as standard with a built-in WiFi hotspot. This is particularly nice when you are at a remote hunting or fishing location, or when you are forced to entertain family members. Suffice to say, everything relative to both IntelliLink and OnStar is better than ever. The 2015 GMC Sierra Denali 1500 exceeded all of my expectations. I would certainly put it on my list of suggested vehicles if you are looking in this price range. ($50,000 – $60,000) Available options are not over-priced and can help make this popular truck your own.